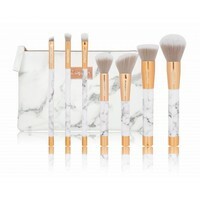 Boozyshop 7 pc Marble Brush Set is a brush set you have to have in your collection! 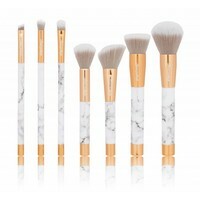 Boozyshop 7 pc Marble Brush Set is a brush set you have to have in your collection! 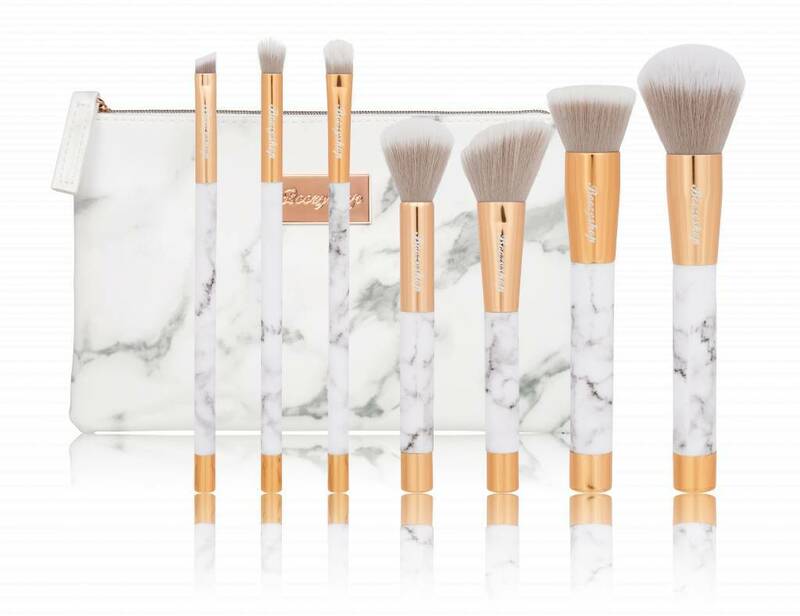 This set contains of 7 gorgeous brushes for your face, eyes and brows. 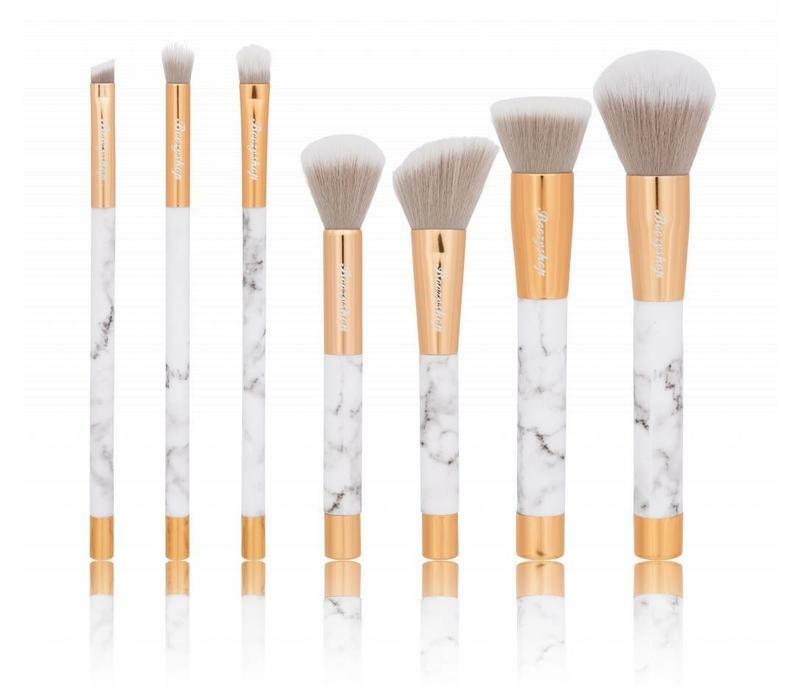 The brushes each have an unique marble print and a rose gold ferrule. 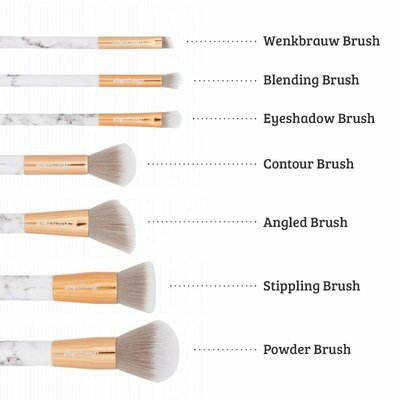 Not only are these brushes a sight for sore eyes, they are also very special. 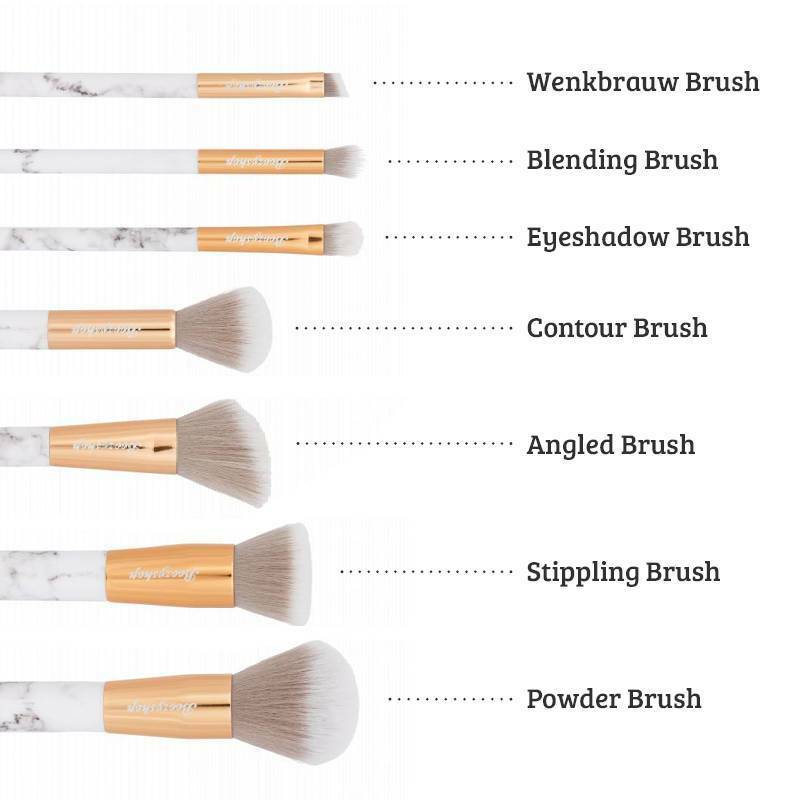 In the bottom of the brushes is a magnet, this enables you to easily hang the brushes from a metal surface (like your exhaust) and dry upside down. 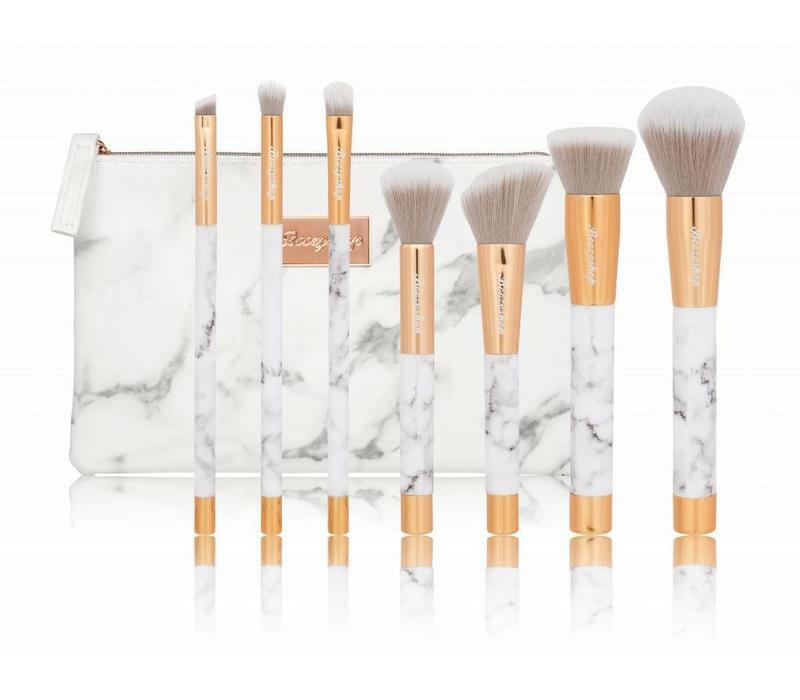 This set includes a leather look pouch with an unique marble print. Leather look pouch with unique marble print. Caution! 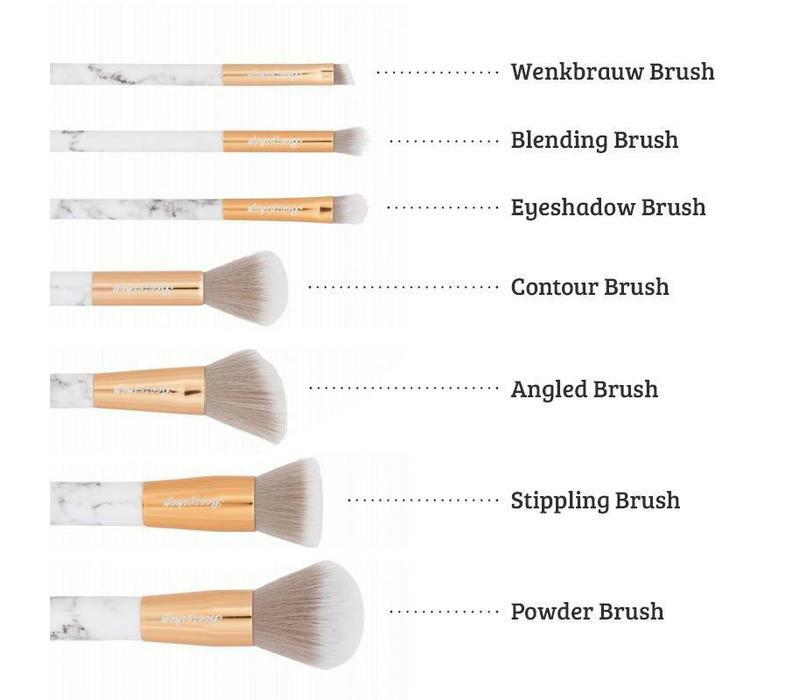 The marble print on the brushes and the pouch is so unique, that no brush or pouch has exactly the same print. The print on the image can look different from the one you will receive. The brushes have luxury synthetic duo fiber hair and are especially designed to apply cream and powder products to the skin in a even way for an HD effect. 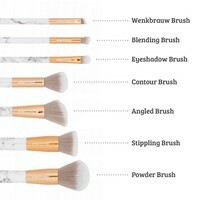 The fibers are soft as silk and have a high durability. The fibers are anti bacterial and hypoallergenic. Massive wooden handle with a marble print, bottom is magnetic.